The IT sector, which had seen more than 56,000 employees laid off last year and took another hit from the Trump administration's new visa rules for the US - the biggest market for IT companies - this year, may have turned a corner. The IT sector, which had seen more than 56,000 employees laid off last year and took another hit from the Trump administration's new visa rules for the US - the biggest market for IT companies - this year, may have turned a corner. The Experis IT Employment Outlook Survey indicates higher hiring intentions for the next two quarters against the previous two, The Economic Times reported. "IT hiring in India has been sluggish in the last two quarters. However, jobs are being created and IT hiring will pick up slowly in the coming months and see an upside by March 2019. Non-IT companies will be the big players in IT hiring as more and more companies establish their captive centres in India," Manmeet Singh, president of Experis, a ManpowerGroup India company, told the daily. 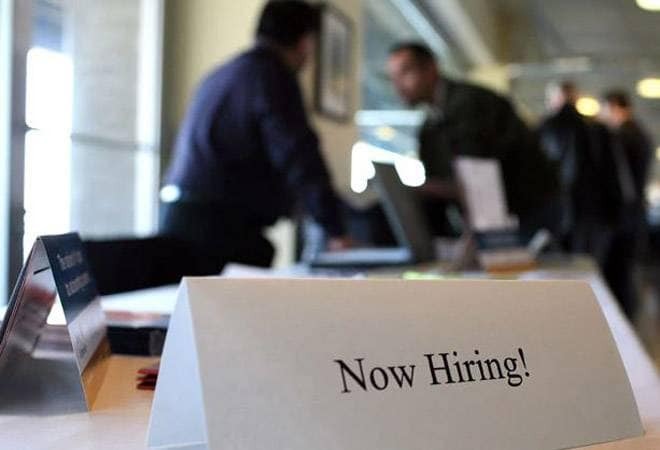 The survey, covering around 550 IT employers across India, reported a positive net employment outlook of 53% for the period between October 2018 and March 2019. The big players, especially the software and quality assurance testing companies, will continue to be more bullish on their employment prospects, estimates the survey. Software companies with over 250 employees intend to hire more employees than hardware companies or startups. This will be ruled mainly by on-demand hiring. Significantly, the main demand for techies is expected to be driven by non-IT companies that are building teams for digital transformation. Non-IT companies across sectors sum up a hiring outlook of 45%. Companies in utilities, finance, manufacturing and retail are expected to see strong hiring activities. In fact, the finds indicate that hiring of IT experts is likely to be higher in the non-IT domains as a direct and obvious result of automation. Software body NASSCOM in July had predicted that a majority of the new IT jobs will be in areas such as Artificial Intelligence (AI), Internet of Things, and big data analytics, and the Experis survey backs it up. "AI seems to be becoming more or less a mainstay in almost all forms of technology and is going to pop up in all the new platforms, devices or apps more and more through 2018," read the survey report. It added that automation still rules the IT job market, hence most Indian employers are keen on hiring candidates with a higher learnability quotient - who can adapt to the "advanced technologies" faster than their "conventional counterparts" - especially in the 0-5 years' experience slab. The talent demand chart is topped by the "Web Technologies" practice area with a net employment outlook of 32%. Moreover, most IT companies are likely to secure at least 5% of their jobs for freshers boasting some training in these technologies. Given the confident hiring sentiments for Q3 and Q4 of the current fiscal, Indian IT companies are also reportedly shifting towards a flexible workforce strategy, commonly known as flexi-staffing. In this model, employees are recruited on a temporary or contract basis from staffing companies who facilitate hiring, on-boarding, documentation, pay rolling, employee benefits and exit management.